Heather Heberle - Senior Instructor, CFO of Wm. 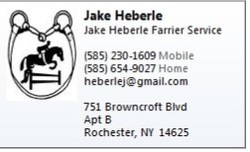 R. Heberle Stables Inc and Horse Transporter. Heather Heberle is the Senior Instructor who is ARIA (American Riding Instructors Association) Certified Level III Hunt Seat and Recreational Riding as well as a certified instructor through USHJA and ARICP. She has been teaching Hunt Seat for more than 30 years, having students qualify for Medal Finals, Jr Hunter Finals, Pony Finals, Zones and many others. Heather also has her CDL License for transporting horses, using a 4 horse head to head trailer. Margie Heberle has been riding her whole life and teaching since the age of 16. She teaches Thursday nights and works with all levels, from beginners to high level competitors. Margie competed successfully as a Junior, attending many prestigious horse shows such as Devon, Junior Hunter Finals, Medal and Maclay Finals. Margie has had continued success as she started her professional career in 2014, qualifying for and attending the 2015 Pre green Incentive Finals and the 2016 Pennsylvania National Horse Show. As the professional rider of Heberle Stables, Margie works with all the horses, including bringing along the young horses and maintaining the show horses. Katrina has been riding at Heberle Stables since 2009. She became a working student and beginner instructor at the age of 15. As a junior, she groomed at the horse shows and competed successfully in the Junior Hunters and Equitation. She developed her horse from a green 6 year old to a successful Junior Hunter, qualifying for and placing fourth at the 2016 Zone 2 Hunter Finals. She continued on as a professional, and now teachers beginner to intermediate riders, and assists Margie with riding, training, and grooming at home and at the shows. Nicole started working the pony walks at Heberle Stables in 2004, helping run the walks and train new ponies. She started doing chores, including feeding the horses, turn out, and many other duties in 2014. Learning from Heather, Margie, and the vets, her knowledge of horses health and wellness has earned her the title of barn manager. She continues to take exceptional care of the lesson and boarder horses, as well as managing employees and assisting in the farm's office work. 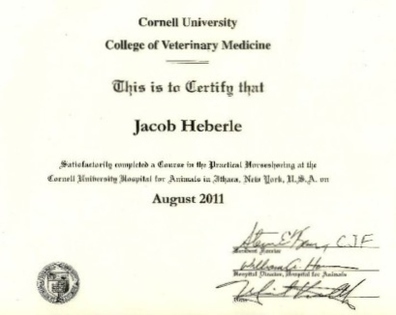 Jacob Heberle has graduated from Cornell’s Farrier Program in 2011 and is currently working on a variety of horses including draft horses, ponies and show horses.